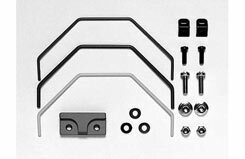 All Products > "53694 Tamiya TT-01 Front Stabiliser Set"
A quality set of Front Stabiliser bars suited to the TT-01 chassis only (all variants). Works by reducing chassis roll during high-speed cornering. Contains three bars; Red is Soft, Yellow is Medium and Blue is Firm. For optimum performance when used with Rear Stabiliser Set (53695). Handling, oversteer and understeer can be greatly influenced buy judicious use of these parts. Requires carbon top-deck. 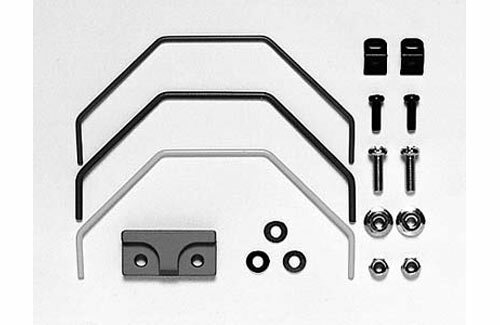 Contains blue anodised aluminium clamp, screw and washer set for secure fitment.